The Shahnama, the persian epic poem composed by Firdowsī of Tus in A.D. 1010, is the most complete text on the reign of Khusro I. The reaserch through the persian corpus is based on Dj. Khaleghi-Motlagh’s edition and on J. Mohl’s French translation. Dj. Khāleghī-Motlagh, M. Omīdsālār, A. Khatībī (eds. 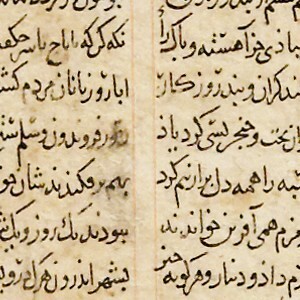 ), Šāhnāmeh, vol. 7 (Bibliotheca Persica), New York, 1987. J. Mohl, Le livre des rois par Abou’lkasim Firdousi, vol. 6, Paris, 1877, reimpr. 1976. English translation of the Shahnama (chapters on Khusro I) by Michael Richard JACKSON BONNER available here. Persian version of the Shahnama available here.